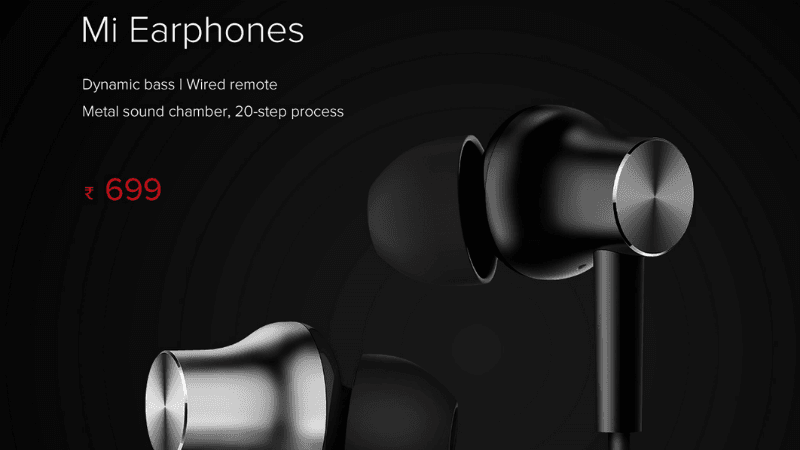 Xiaomi today expanded its audio accessories portfolio by launching two new products- Mi Earphones and Mi Earphones Basic. Alongside the earphones, Xiaomi also announced a permanent price cut for the Mi In-Ear Headphones Basic, which was available at Rs 499 until now, but will now retail for Rs 399. Both the newly launched earphones are already available for purchase on Mi.com. The Mi Earphones Basic will be available in Black and Red colour options and are priced at Rs 399, whereas the Mi Earphones will be up for sale for Rs 699 in Black and Silver colour options. Speaking about the Mi Earphones priced at Rs 699, it is claimed to offer excellent sound quality with the metal sound chamber that is created in a 20-step process. It also features a wired remote, allowing users to control volume and answer calls. The Mi Earphones are designed to deliver superior audio in the mid and bass ranges, and Xiaomi used an aerospace-grade metal composite layer inside the earpiece. These earphones are light in weight at 14grams, and they feature integrated diamond cut finish. The wired remote also has a microphone which has a 58dB signal to noise ratio delivering better voice and lesser noise. And Xiaomi will be bundling three different sizes of ear tips in the packaging of sizes- XS, S and L. The cable used to build the Mi Earphones is Kevlar fiber cable, and they’re tangle-free earphones, which is a good thing. Talking about the Mi Earphones Basic, these earphones are said to be Designed for India as they’ll be available in the stunning Red colour option. 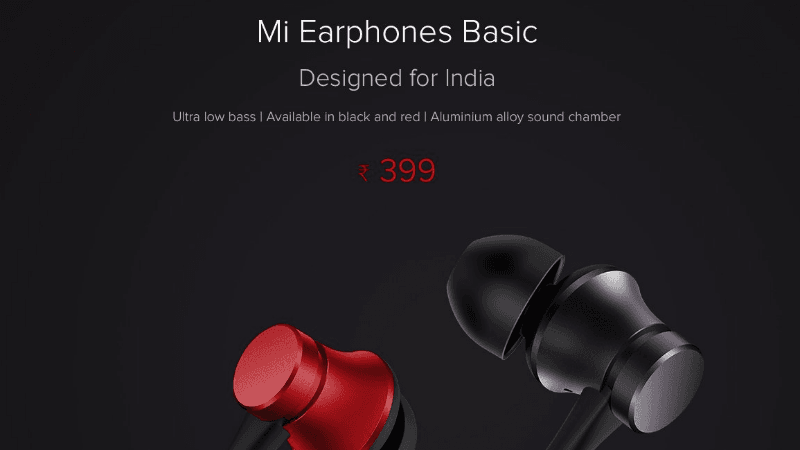 The Mi Earphones Basic offers ultra-low bass, which Indians prefer. There are some noticeable changes between the Mi Earphones and Mi Earphones Basic- the former has a wired remote with mic, the latter also has a wired remote, which can be only used to play or stop the music. Also, the Basic earphones are built using different fiber cable, and Xiaomi is not promising tangle-free experience. That said, both the earphones feature a 45-degree bent AUX jack. As stated, both the earphones are already available in the Mi.com. Of late, Xiaomi has been keeping its users engaged with multiple product launches. These two earphones come right after the Redmi 5 and Mi Body Composition Scale launches in India. It’s unknown what Xiaomi is going to announce next- could be the Mi Mix 2S? LOL, cant xiaomi afford to give it with phone, poor company.